UN judges to hand down verdict to 74-year-old Ratko Mladic, accused of worst massacre since Holocaust. Sarajevo, Bosnia and Herzegovina – UN war crimes judges at The Hague are delivering Bosnian Serb military commander Ratko Mladic his verdict on Wednesday, more than 20 years after the Bosnian War ended. The verdict, which will be handed down by a three-judge panel, began at 9:00 GMT. Mladic, the 74-year-old dubbed the “Butcher of Bosnia”, is accused of 11 counts – including genocide, war crimes and crimes against humanity committed by his forces during the war in Bosnia from 1992 and 1995. As proceedings began, Mladic said he was feeling unwell. He went for a blood pressure test. When he returned, he started shouting in court and was removed by a judge. Proceedings paused and then continued, without Mladic in court. The first count of genocide he faces is for killing more than 8,000 Muslim men and boys in the town of Srebrenica, a UN-declared “safe haven” at the time. It was the worst genocide to occur on European soil since the Holocaust. He faces a second count of genocide in six other Bosnian municipalities and is also accused of ordering the siege of Sarajevo, in which his troops surrounded the city for 46 months and carried out a campaign of sniping and shelling at the civilian population “aimed to spread terror amongst them”. With an average of 330 shells pummeling the city daily, more than 10,000 people were killed in what is known as the longest siege of a capital city in recent history. 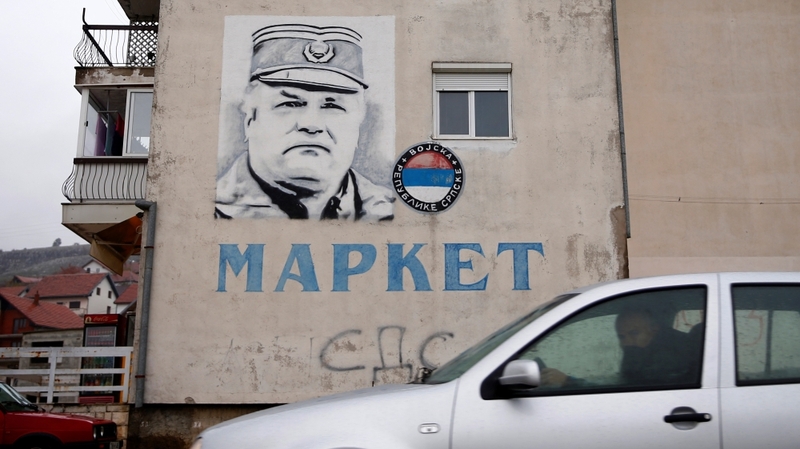 Another conversation between Mladic and a Serb artillery colonel in Sarajevo was publicised after it was intercepted and recorded in the spring of 1992. Mladic is additionally accused of removing Bosnian Muslim and Bosnian Croat inhabitants from Bosnia to establish a Greater Serbia and of taking UN peacekeepers hostage. An estimated 100,000 to 200,000 people were killed during the war in Bosnia, while as many as 50,000 women were raped. War crimes prosecutors from the International Criminal Tribunal for former Yugoslavia (ICTY) claim Mladic played a key role in the ethnic cleansing in Bosnia and have called for a life sentence. Prosecutors say Mladic, along with former Yugoslav President Slobodan Milosevic and former Bosnian Serb leader Radovan Karadzic, were among the key players that formed the “joint criminal enterprise” to create a Greater Serbia. After 530 trial days, nearly 600 witnesses and nearly 10,000 exhibits admitted in evidence, Mladic’s judgment is one of the most important since the ICTY first set up in 1993 and among the last case to be held as the court prepares to close in December. 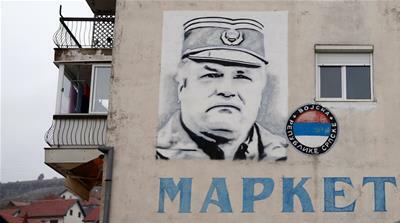 Mladic was arrested in May 2011 in a village in northern Serbia, after 16 years in hiding. His health had already deteriorated at the time, with one of his arms paralysed due to a series of strokes. Mladic denies the charges, calling them “obnoxious” and “monstrous”. At the start of his trial six years ago, Mladic made eye contact with Munira Subasic, a woman who lost 22 relatives to Bosnian Serb forces in Srebrenica and made a throat-slitting gesture as she watched on from the public gallery. “I defended my people, my country … now I am defending myself,” he reportedly told the judges at his first appearance. At his second appearance, he was reportedly removed from the courtroom for repeatedly interrupting the judge and trying to communicate with the public gallery. Many of the war criminals, either they weren’t even indicted or prosecuted, or if they were prosecuted, their sentences were very short. Due to his ailing health, he has prolonged his trial on several occasions. For the past two decades, the ICTY filed indictments against 161 people, most of them high-ranking Serb officials. The tribunal is the first court to charge an acting head of state, Milosevic, of genocide and other crimes. However, along with Croatian Serb leader Goran Hadzic, a key wartime leader, Milosevic did not live long enough to hear the verdict. Milosevic died in 2006, after suffering a heart attack in his cell in The Hague. Last year Karadzic, 72, was found guilty of genocide in Srebrenica along with nine other charges and sentenced to 40 years in jail. 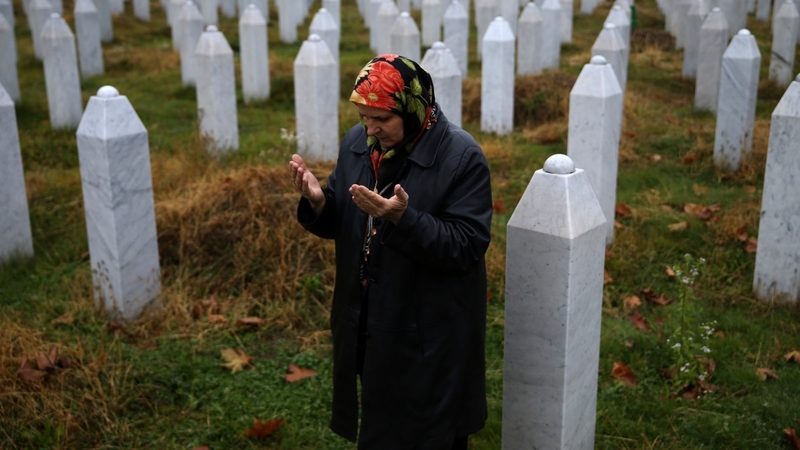 While finding Bosnian Serb leadership guilty of genocide in Srebrenica is a significant achievement for ICTY, the tribunal still falls short in delivering justice for war victims, explained Marko Attila Hoare, historian at London’s Kingston University. “The number of perpetrators convicted and the sentences they received were unsatisfactory. Many of the war criminals, either they weren’t even indicted or prosecuted, or if they were prosecuted, their sentences were very short. Many of them are out already, people like Biljana Plavsic for example. You can’t call it justice,” Hoare told Al Jazeera. Plavsic, former president of Republika Srpska is the highest-ranking Bosnian Serb politician to be sentenced for war crimes along with Karadzic. She was sentenced to 11 years in prison in 2003, but was released six years later after serving two-thirds of her sentence. Another Bosnian Serb leader, Momcilo Krajisnik, was released in 2013 after serving two-thirds of his 20-year sentence for war crimes. He was welcomed back as a national hero in his hometown of Pale, about 18km east of Sarajevo. Several thousand people sang nationalist songs and waved flags as Krajisnik made a speech in the town’s main square. Thirty of 50-year-old Fikret Bacic’s family members were killed in the war, including two of his children. Bacic, from Prijedor, Bosnia, still has not found his children’s bones. For years, he has been campaigning to set up a memorial to commemorate the 100 children executed in Prijedor by Serb forces, but his efforts have continually been rejected by the Bosnian Serb municipal authorities. “Looking at my kids’ peers, I really don’t see a future for them here. You need to dig and pull out the root [of the problem] in order to be able to live normally,” Bacic said. Meanwhile, dozens of monuments have been erected in Prijedor, honouring Serb soldiers killed in the war, some of whom were eventually indicted for war crimes. This has yet to happen in Bosnia. “Politics of ethnic division and supremacy that employed mass atrocities in the first place are still very much alive and supported by neighbouring Serbia and Croatia,” Refik Hodzic, a Prijedor-based journalist and expert on transitional justice, told Al Jazeera. If “the same dehumanising, inciteful politics of ethnic supremacy and discrimination” continue, another conflict will inevitably occur, Hodzic said.